Microdermabrasion is a process that exfoliates the skin by abrading it with medical-grade titanium oxide micro crystals. Dead skin cells are removed from the upper epidermis and are immediately vacuumed from the surface of the skin. Microdermabrasion helps to thicken your collagen, which results in a younger looking complexion. Collagen is a protein in your skin that’s abundant when you’re a child and makes skin appear taut and smooth. Collagen production declines as we age, resulting in looser, uneven skin. Our facials target stress and fatigue. We deeply cleanse your pores under steam and give you a soothing massage that relaxes your body and mind and firms the facial area and the décolleté. 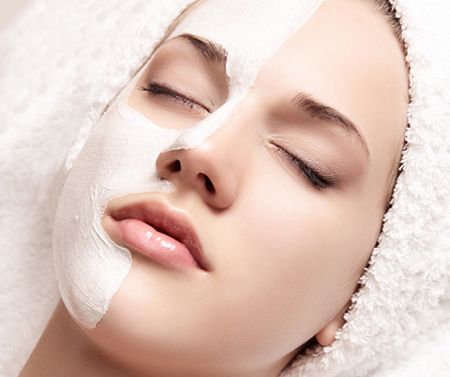 Our facials help reduce acne, the effects of aging, and provides our clients with glowing and rejuvenated skin! Our facial massage treatments increase circulation and the flow of blood, and they include a variety of creams, aromatherapy and oils that moisturize the skin, smell good, and relieve stress as well as encourage peace of mind and contentment. Call us at 973-885-6923 to schedule your skin care services – go ahead, pamper yourself today!